Take a look around you. Everywhere you go, there’s always some sort of signage that relays a specific message to onlookers. 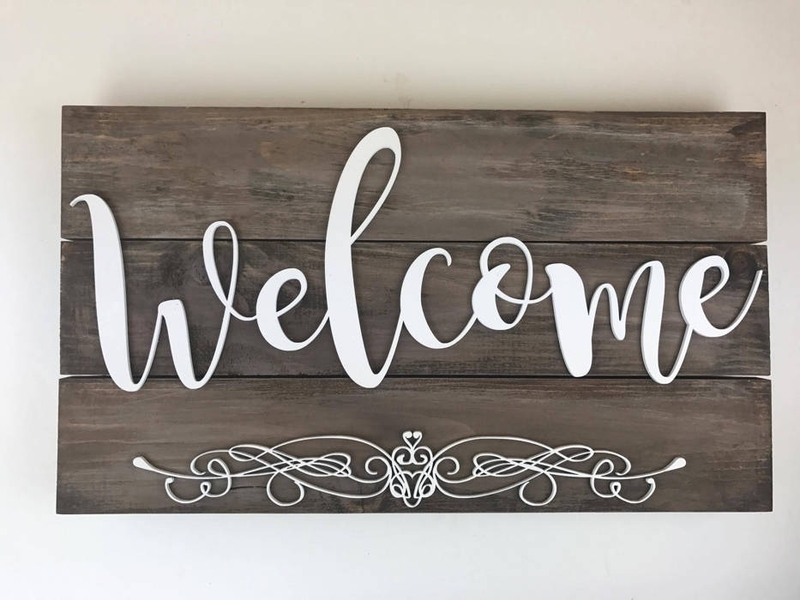 But besides the average type of signage seen on a day-to-day basis, such as an outdoor signage and a caution signage, there comes a sign that we all might be familiar with: the welcome signage. 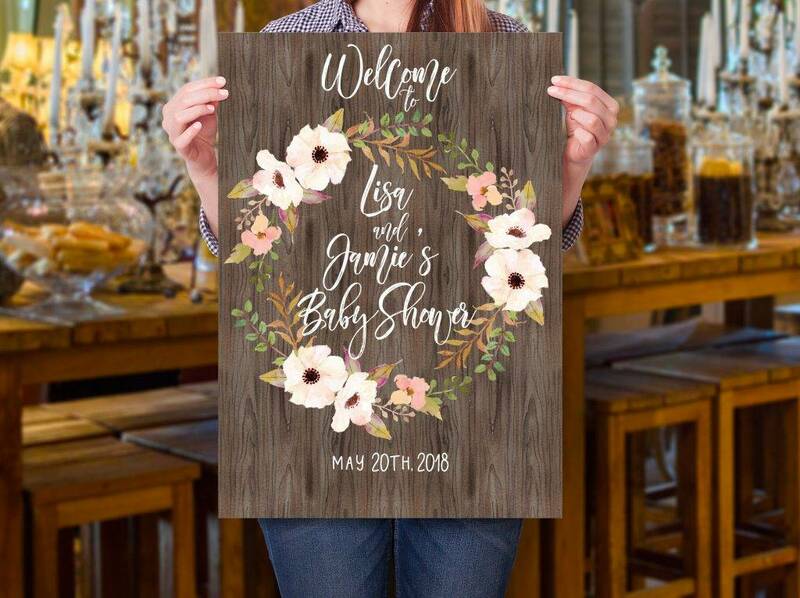 This is commonly used as a decorative design to welcome house visitors, to acknowledge guests at an event, and to greet tourists visiting a given region. Welcome signs are basically everywhere these days. You can find them along busy highways, by the entrance of a formal gathering or business event, or maybe by the front door of your grandparent’s house. These signs come in different shapes and sizes, and are used for a wide variety of purposes. While many individuals have used these signs as an ornamental piece rather than for its actual purpose, the welcome signage has become a key part of our landscape that we just can’t shake off. You may also see price signage designs and examples. Going on a road trip is always an exciting experience. There’s nothing like entering a new town or city and being greeted by a massive welcome signage along the road. This natural form of hospitality is enough to give you that thrill of being at a different location, miles away from the place you call home. You may also like outdoor billboard designs & examples. Many of these signs are made for the benefit of visitors and travelers, as well as the locals themselves. Apart from attracting tourism with a catchy tagline, many of these signage designs direct motorists to a particular location. Its purpose is partly informational, where the content of the sign informs drivers where they are. These road signs are usually found near political borders (such as when entering a town, city, count, province, or state), neighborhoods, and private communities. Some airports even put up huge sign boards along the arrival area to welcome jet-lagged tourists with so much enthusiasm. You may also check out examples of minimal billboard advertising. 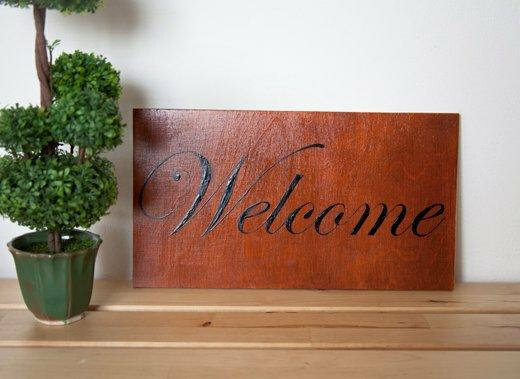 Remember when you were younger, and while waiting by the door at your grandma’s house, you’d look down and find a floor mat with a huge “WELCOME” sign printed on it? 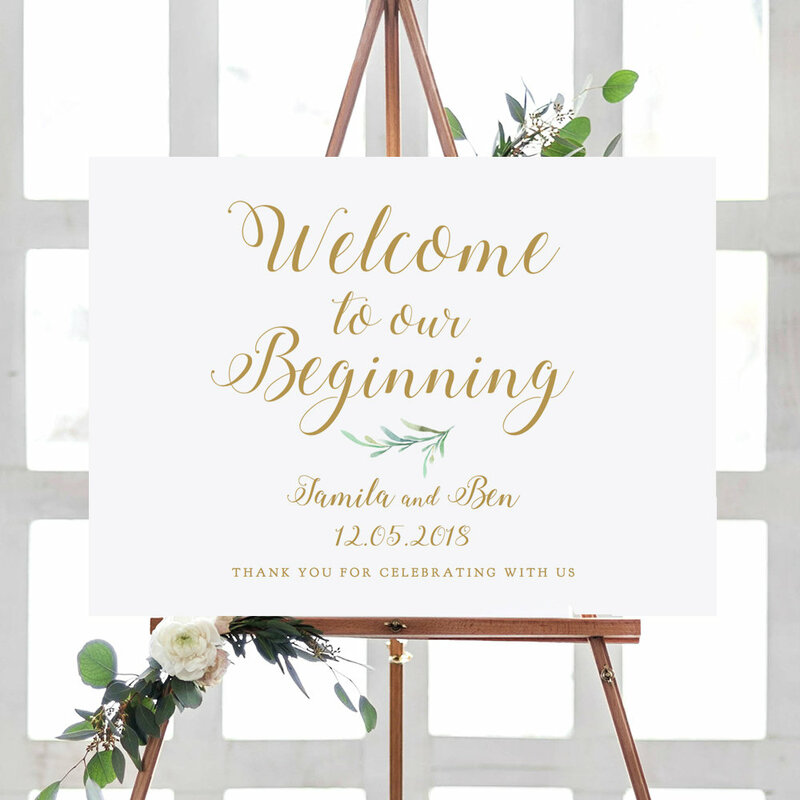 Or perhaps you’ve been to a birthday celebration or a wedding ceremony just recently, and found a pretty-looking welcome signage by the entrance? 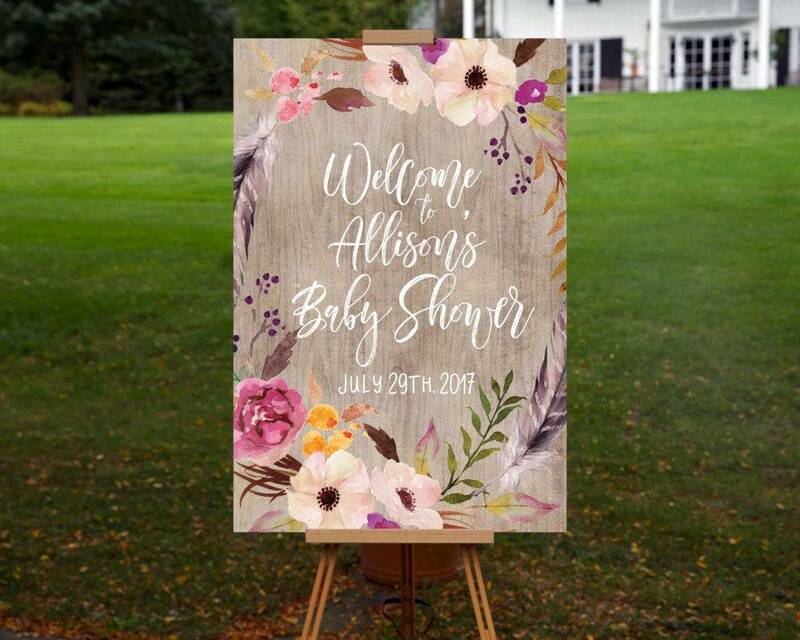 Welcome signs are common in a household setting and a formal event, as they’re a common decorative medium to use when greeting guests. 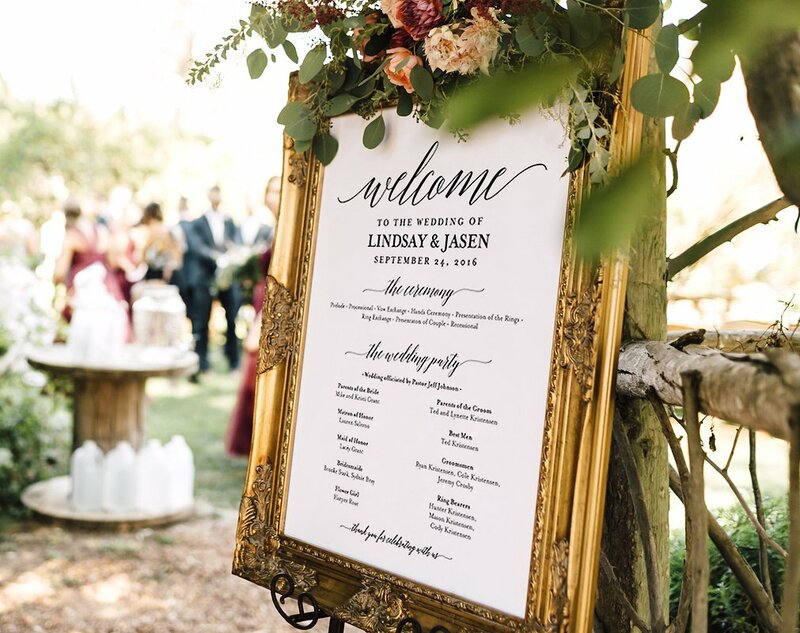 When hosting a party or any possible event, using a welcome signage serves as friendly gesture to make people feel comfortable. You might be interested in examples of billboard designs & examples. 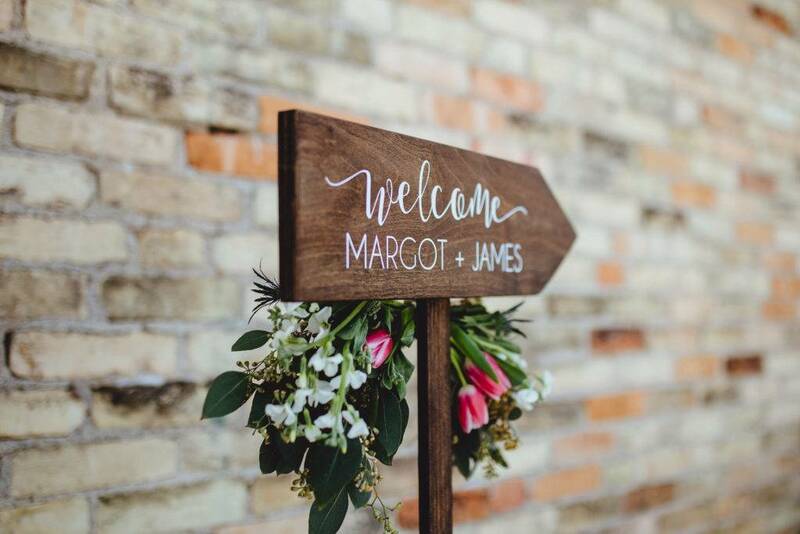 Whether you’re acknowledging new employees to your workforce or embracing fresh recruits to your club, using a welcome signage is the perfect way to make them feel like a part of the group. It’s a pleasant act that can ease away the tension that may exist within each individual. Since being the newbie can often feel intimidating, you need to make sure that every recruit is greeted kindly and politely by the entire team. You may also see simple billboard designs and examples. If you’re a travel aficionado who happens to be familiar with some of the world’s most famous signs, then some of these examples might ring a bell. Though they probably aren’t the first things that come to mind when planning an itinerary for your trip, there’s no doubt that these signs have turned into well-known trademarks that are worth preserving. You may also see food billboard designs & examples. Standing at 7.6 meters tall, the famous ‘Welcome to Fabulous Las Vegas’ sign is located at the southern side of the Las Vegas strip to greet visitors that pass the area. The infamous boulevard is filled with colorful casinos, fancy restaurants, and exclusive nightclubs that attract millions of high rollers and tourists every year. The sign easily garnered attention from passersby thanks to its neon, plastic, and incandescent bulbs that stood loud and bright during the wee hours of the night. You may also like billboard mock-up designs and examples. By 2013, the welcome signage, which was originally designed as a gift by American visual artist Betty Willis, was registered as one of the historical places in Nevada. Nothing could ever compare to the monumental Hollywood Sign that sits high on Los Angeles’ Mt. Lee. While the 45-ft metal letters is found at a highly restricted location that prohibits tourists and hikers from visiting the area, it’s still a popular landmark that symbolizes the glitz and glamour of Hollywood in a way that’s far from simple. You may also check out examples of billboard advertising. Through the years, the sign has undergone several extensive restorations due to acts of vandalism and natural deterioration. Since it was first built in 1923, the sign has managed to stand through the test of time, in spite of being virtually destroyed in some of the best blockbuster movies in history, such as Independence Day and The Day After Tomorrow. There’s a long list of singers, specifically in the genre of pop and country, that have talked about this famous highway in their song lyrics, with The Rolling Stones, John Mayer, Chuck Berry, and Natalie Cole being some of them. U.S. Route 66, otherwise called the Will Rogers Highway, was, at one point, the most traveled route within the U.S. Highway System. It was featured prominently in the media, especially in the industry of film and music. But looking deeper into history, route 66 also symbolizes a path of better opportunities as it was once used by hundreds of thousands of people seeking to escape the distress during the 1930s Dust Bowl. You might be interested in retro billboard designs and examples. Although route 66 has become a road less traveled these days, the well-known highway still greets visitors with an emotional past through its iconic welcome signage. Despite not being as popular as the last three examples on this list, the Chicago Theatre sign has still become a landmark in itself after being featured in multiple films and TV shows as a recognizable emblem of the area. The sign stands at about 18 meters tall, making it completely visible from Chicago’s State Street. You may also see vertical billboard designs and examples. Located in the city of Liverpool, the Penny Lane signage is considered to be one of the most photographed signs in the entire world. Unfortunately, after the sign gained worldwide recognition when The Beatles released their iconic song Penny Lane, which also happens to be the place where band members John Lennon and Sir Paul McCartney grew up, it became a constant target of theft. You may also like vector billboard designs and examples. The Secret of Signages — Why Do They Work? In an attempt to increase traffic in a given region, many organizations (both government-owned and private) invest on a physical or digital signage to draw in attention from different markets. These signs have helped corporate sectors attract consumers, while local tourism has also benefited from these signs in terms of welcoming visitors in the area. Given how innovation has paved the way for digital advertising through hi-tech billboard displays and automated online marketing campaigns, many organizations have also taken the modern approach with their signs through a digital signage. Unlike traditional advertising, a digital signage offers more flexibility to advertisers. The signage may carry out different messages throughout the day, depending on the needs of the targeted audience. Unlike TV commercials and sponsored YouTube ads, we don’t encounter signs as often as other advertising mediums. The market has become overly saturated that something as simple as a signage can be relatively unfamiliar to many individuals. For this reason, the signage has the power to capture and hold our attention for a good amount of time. This form of visual communication allows us to recall a message a lot clearer as well. You may also like business billboard designs and examples. 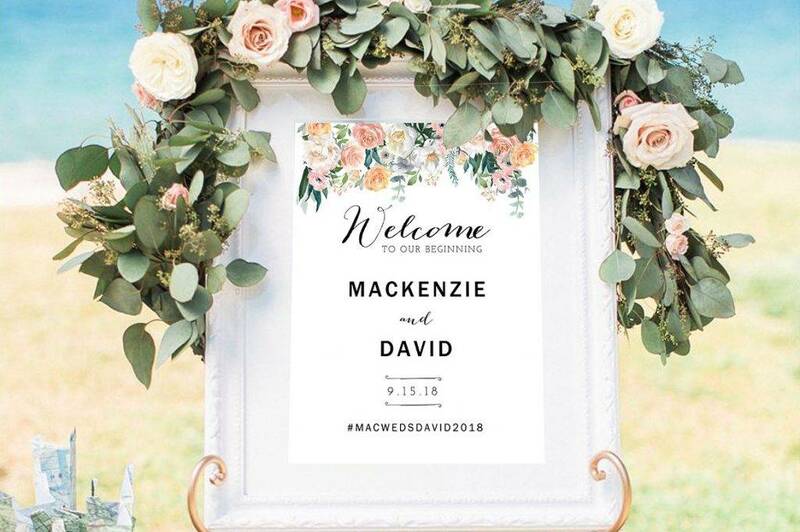 As opposed to imposing a given message to consumers, a signage is a commutative device that allows advertisers to interact freely with its desired audience. This is especially applicable in the case of a digital signage, where a touch-screen device allows customers to pick the type of content they wish to be shows. Some establishments use this type of marketing break down the boundary that forces ‘push’ advertising. You may also check out poster billboard designs & examples. The desire to create a better customer experience is something that thrives in the industry. When putting all these factors of relevance, personalization, and control together, a signage serves as an effective medium to entertain, inform, and educate a desired audience in a subtle yet appealing manner. Its appealing design and informative content are enough to earn attention, rather than demand it. You might be interested in digital billboard examples. 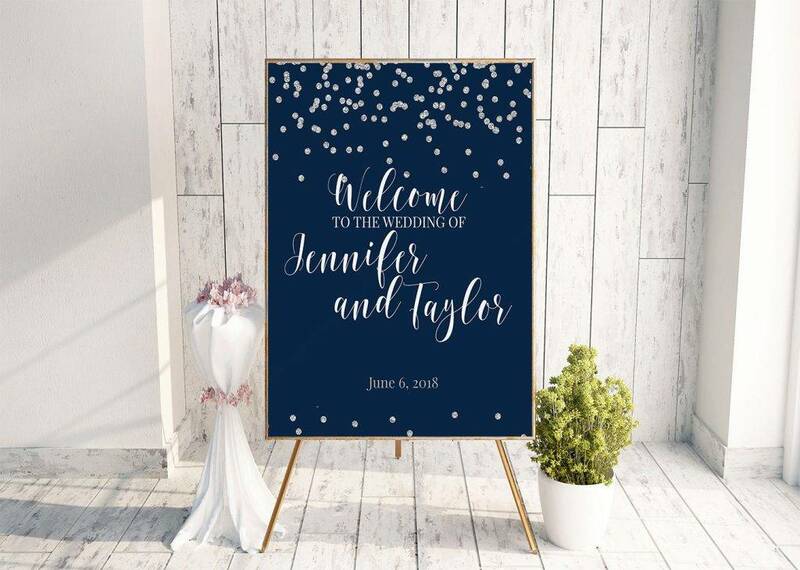 Many establishments and jurisdictions use welcome signage designs to entice customers and visitors through a creative yet memorable approach. 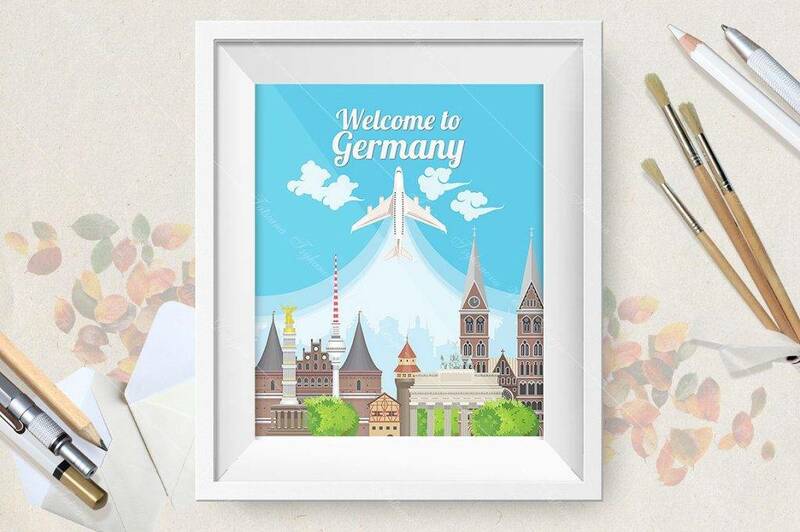 And because of how popular these welcome signs have become over the years, they have slowly turned into notable landmarks and tourist spots that have been featured on various films, TV shows, and music videos as a clever yet advertising approach. You may also see billboard artwork designs and examples.